Select your jewellery, click on the calendar tab and choose your rental days. You can select four or eight days, or you can contact us to set up your own rental period. Add your order to the basket, agree to the terms and conditions and check out using PayPal or a credit/debit card. Your order will be delivered by Royal Mail Special Delivery Guaranteed. If you are based in London zones 1 or 2 you can also select Same Day Delivery Courier service. Once you have successfully submitted your order, you will receive an email confirming the details. 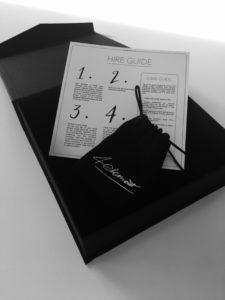 You will receive your jewellery on the first day of your chosen hire period. Please make sure there is someone available to sign for the delivery. 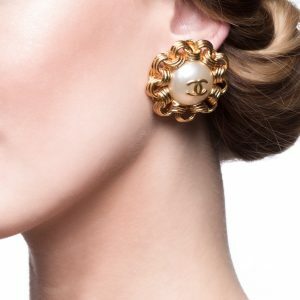 Your jewellery will arrive in pristine condition. Each item is cleaned professionally every time it is returned. Now, make your day special and enjoy wearing 4Element jewellery! Please return the jewellery on the day your hire period ends or earlier, using Royal Mail and our pre-paid envelope. Place the jewellery in the 4Element bag, put it into the black box and pack everything into the pre-paid return envelope. Take the package to the post office, send it to us and keep your proof of postage. Once we have received the jewellery safely, we will send you an email to confirm.